Just like St. John the Baptist and St. Elizabeth, Ilocanos had a reason to “leap for joy” as the patroness of Ilocos Norte, “La Virgen Milagrosa de Badoc”, received the Pontifical Coronation on May 31, the feast of the Visitation of Our Lady. 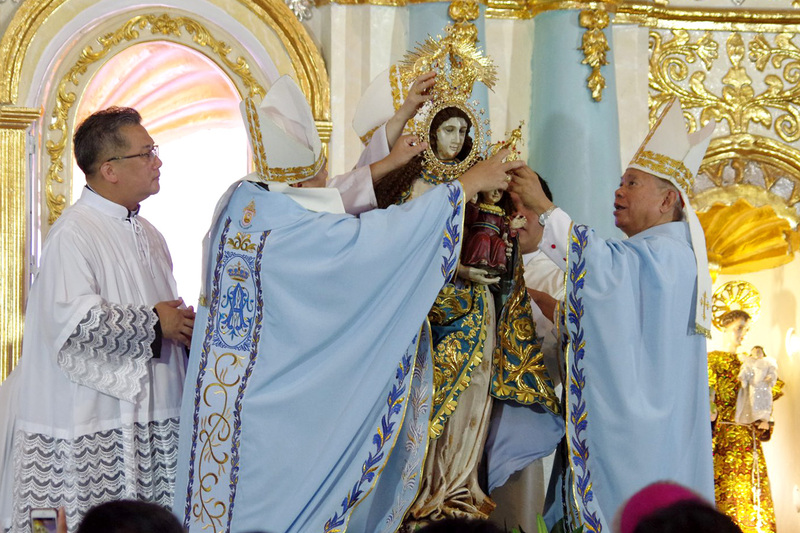 Cardinal Luis Antonio Tagle of Manila, “in the name and by the authority of the Holy Father, Pope Francis”, crowned the Marian image in her shrine at St. John the Baptist Parish in Badoc. Thousands of devotees, various bishops and a huge number of priests from Ilocos Norte and neighboring provinces were present. In his homily, Cardinal Orlando Quevedo, a native of Ilocos Norte, started by recalling the story of La Virgen Milagrosa’s arrival in the Ilocos region together with the “Santo Cristo Milagroso de Sinait”. The wooden images came to Ilocos shores contained in a tightly sealed wooden box which was discovered by Badoc and Sinait fishermen four centuries ago. The Cotabato archbishop expounded that these sacred images are believed to have come from the persecuted Christians in Japan who had jettisoned these religious artifacts to the sea to avoid being implicated as Christians. 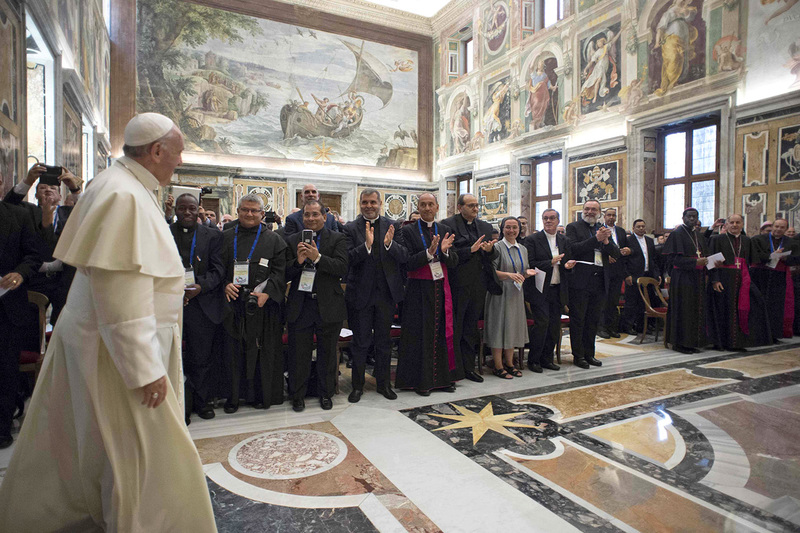 Quevedo recalled the martyrs of this persecution, particularly Blessed Justo Takayama Ukon and St. Lorenzo Ruíz. He ended the homily with a challenge that, like these holy men, the faithful should follow “La Virgen Milgrosa” who stands beneath the cross of “Santo Cristo Milagroso”. Days before the Coronation, a series of Masses were held including a fluvial procession in the spot where “La Virgen Milagrosa” was found. The devotees were led to reflect on the theme of the event: “Exultavit in Gaudio!” – Leap for Joy! from Lk. 1:41: “Upon Mary’s visitation to Elizabeth, the child John the Baptist ‘in utero’ (in the womb), leaped for joy”. The chosen theme was inspired by the fact that the Lady of Badoc is also called, “Cause of our Joy” and the patron saint of the town of Badoc is St. John the Baptist. Hence, doing the coronation on the Feast of the Visitation is very fitting. The culminating day was marked by the Mass and Coronation with a procession of “Virgen Milagrosa” around the main streets of Badoc accompanied by thousands of devotees who were recipients of her powerful intercession. With this, among the resolutions made during the event was the establishment of the foundation “Caritas Badoc” dedicated to helping the indigenous peoples and indigenous cultural communities in Ilocos Norte. Mayugba added that the foundation will also be dedicated to fund the training of future priests, particularly poor and needy seminarians. The day was culminated by a Thanksgiving Mass presided by the Bishop Mayugba in the afternoon. The joy of devotees was not only confined within the locality of Ilocos Norte. On the same day of the coronation, Fr. Ericson Josue, a priest historian from the Diocese of Laoag, celebrated a thanksgiving Mass at the Basilica of Saint Mary Major in Rome which was attended especially by Filipino migrants who came in pilgrimage from various parts of Europe.